If your organization has outgrown its current billing platform, it’s a good bet you’re weighing the pros and cons of building a new platform in-house or contracting with a third-party SaaS and cloud-enabled software solution. At first blush, the homegrown platform may seem like a good idea. After all, why pay for something you can build yourself? But time and again we’ve seen companies devote countless hours and resources to DIY billing platforms (sacrificing other priorities in the process) only to give them up altogether when it becomes clear they’re not a long-term solution. Billing platform needs are deceptively complicated. While the immediate system requirements may be clear enough, it’s impossible to accurately predict all the capabilities an organization will want from it’s billing system one, three or five years into the future. See where we’re going? Soon, your organization will have spent far more money (in the form of cash, manpower and lost customer opportunities) on the DIY billing platform than it would cost to implement a third-party system — and the result will be a patchwork creation that, at best, struggles to keep up with the company’s needs; at worst, it actively hinders growth. As organizations evolve, embracing digital transformation and shifting their business models to better meet customer needs, change is often happening too quickly for in-house solutions to keep up. That means third-party SaaS solutions like intelligent billing platforms are more than worth the investment. Many vendors promise systems that are fully functional right out of the box, but the reality is that billing platforms aren’t (and shouldn’t be) one size fits all, and “simple” fixes often lead to complex problems down the road. 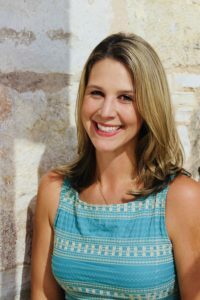 So instead of a standard option, look for one that’s configurable to your organization’s unique needs — and flexible enough to reconfigure as needed. We understand that budgets are tight and resources are precious, so it can be tempting to look for the cheapest option on the market. But experience tells us that the solutions that have the smallest price tags tend to overpromise and under-deliver, leaving companies looking for ways match their needs to the billing platform’s limited capabilities or add additional features to fully meet requirements. Just like a DIY billing platform, then, the company ends up pouring more resources into the “cheaper” solution (and seeing smaller returns) than they would have if they’d invested in a more sophisticated product in the first place. Though it’s certainly worth the effort, the transition from a legacy system to an intelligent billing platform is complicated, and vendor selection and platform implementation can be overwhelming, especially for companies that are new to the world of SaaS solutions. A quality vendor will act as a partner in the implementation process, but it’s always a good idea to devote time to thorough research — or even consider hiring a consultant — to learn best practices for selecting a vendor and preparing the team to make the transition. We know making the switch from a legacy billing system to an intelligent billing platform is a daunting proposition, but we also know that, according to recent MGI research, 44 percent of companies see legacy billing systems as a barrier to growth. So don’t let your outdated system or DIY billing platform hold you back. 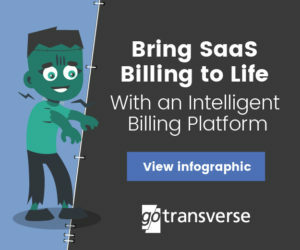 Gotransverse’s premier intelligent billing platform is a cloud-enabled, SaaS solution that can turn your organization’s billing process into a competitive advantage. To learn how we partner with clients to improve customer relationships and enhance business processes, schedule a free personalized demo today!